September is synonymous with fashion reinvention, but with so many styles to choose from it would be easy to suffer a misstep. 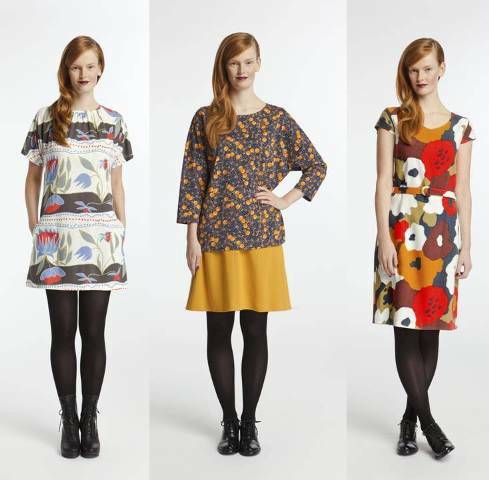 Enter iconic Finnish design house, Marimekko, known for their bold prints and bright colorways, ensuring that this year you’re destined for head of the class. Festive fall foliage makes for fancier frocks. Kekkeri ($229), Marjakori ($129), Atsalea($445). Fitted, drapey or architectural – select a silhouette to suit your mood. Muutama ($259), Kanelikierre ($189), Pisara ($229). Learn more about back to school fashion on Apparel Search. This entry was posted in Clothing, Fashion, Retail Stores, Shopping and tagged back to school, back to school shopping, Finnish fashion, Marimekko. Bookmark the permalink.